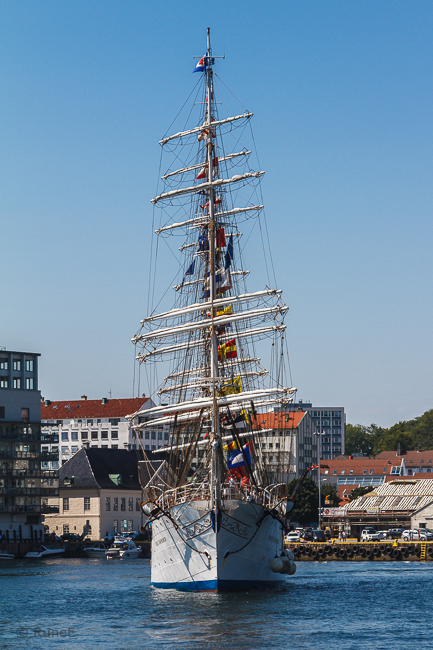 The crew had manned the rails for a bit of singing when "Statsraad Lehmkuhl" entered the harbour. She is the Norwegian Queen of the Seas. "Christian Radich" from Oslo is making ready for mooring. Something small - something large. The passenger ferry "Beffen" has been crossing the harbour for a century. Some didn't even have masts. Your post brings me much-needed joy. 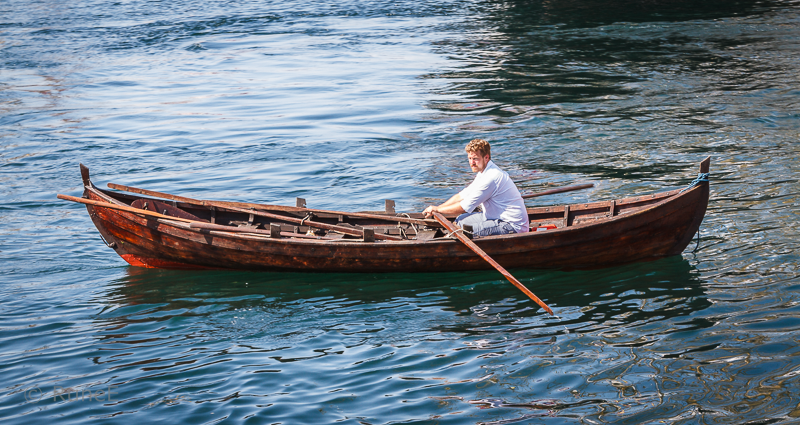 Such beauty there is in ships and boats. Or 'frigging in the rigging' as we say. 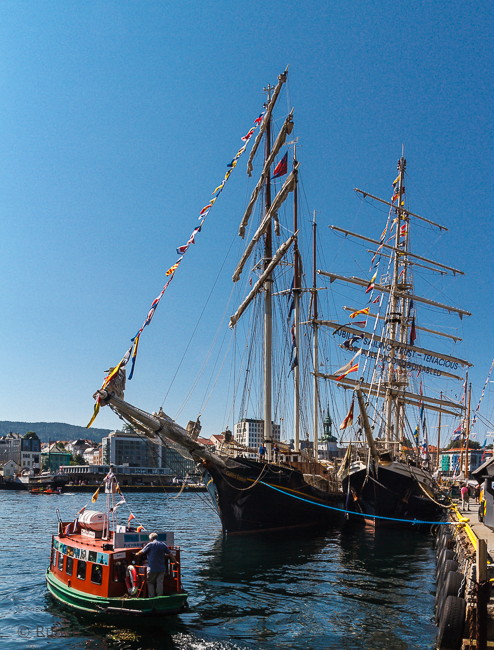 Those old sailing ships are so majestic. 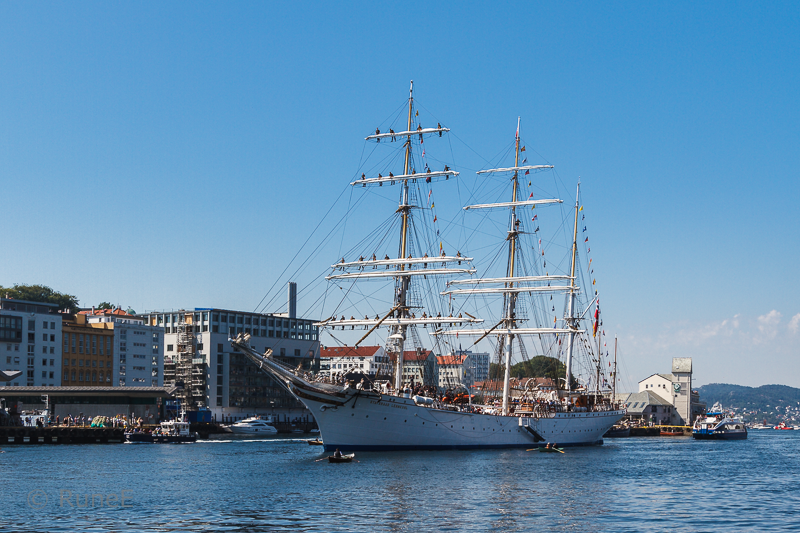 We have just had one of the worlds largest visiting Copenhagen. Oh, what a beautiful ship and clear, blue skies, Rune!! And the men do indeed look SO small!! Superb captures for the day and a wonderful start for mine!! Thank you for sharing the beauty!! Hope you have a great weekend! Enjoy! I get seasick, but if I could do big boats, ocean boats, majestic boats . . . You make me want to be part of this. Then again, I'd probably find a way to sink the damn thing. A wonderful parade of ancient vessels, all finely photographed. Standing up there in the rigging with the sun shining looks great fun - not so good when taking sails down in a gale though! Utrolig vakkert skute. Har ennå ikke fått muligheten til å se den "live". Fint å få se den gjennom din kameralinse, Rune! 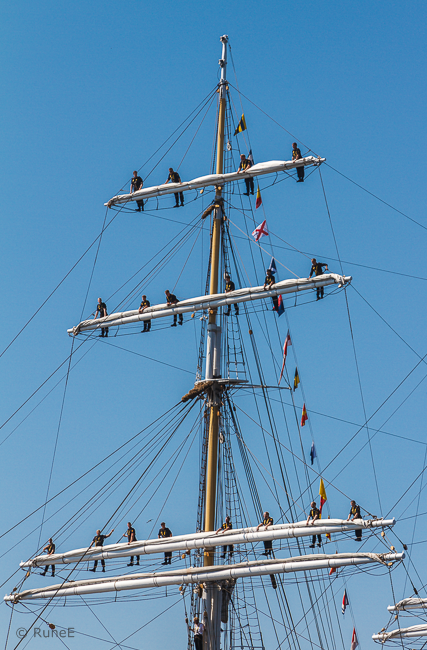 What a sight it must be to see the sailors singing from the masts! I love seeing the various types of oats in the harbour. Beautiful photos! I've seen the "Christian Radich" in person. She was involved in a Tall Ships even and stopped here in Dana Point Harbor in Southern California. Like scenes on a movie! Very nice images. What fun! I would love to see it one day. 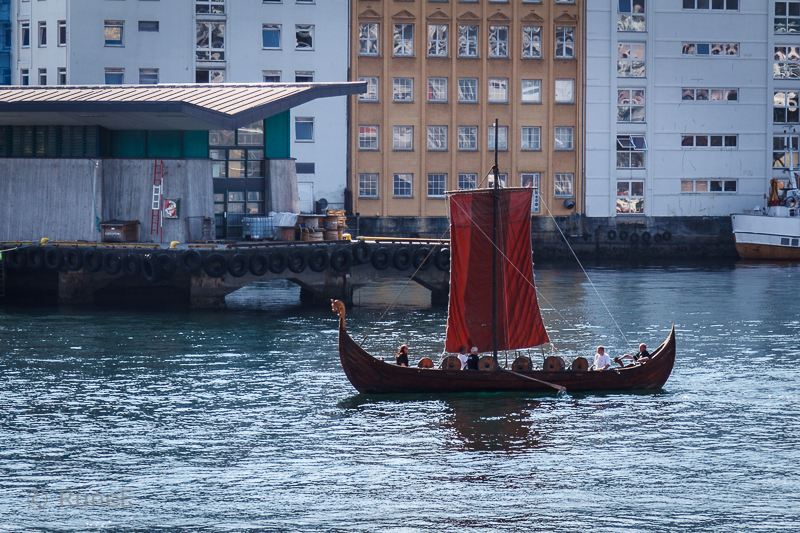 We do have a Viking long boats race, but not tall ships. Unfortunately. They look so great against blue skies. Beautiful boats, all of them! :) It must be something to see them in real! I admire those crew men climbing up and even higher, to hear them singing must have felt special.